We are based in the Friendly Street Building, which is the large glass building behind the main Media Centre on Northumberland Street. On arrival, please use the intercom system to contact Studio 31. We will then buzz you in, where you can take a seat on the sofa and a member of Access2Learn will meet you shortly. Our postcode HD1 1RL will bring you directly to us, then there are many pay and display car parks within a 30 second walk. You’ll find these on Lord Street and Brook Street, and there are short stay, on-street options nearby too. Full details of Huddersfield town centre parking can be found here. 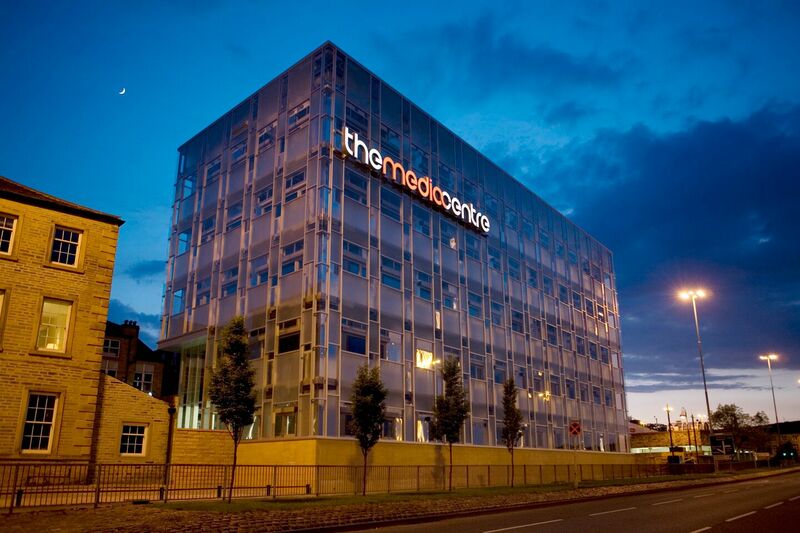 You’ll find The Media Centre 300m from Huddersfield Train Station. This station is served by direct trains from Leeds, Sheffield, Manchester, Liverpool and Wakefield. On leaving the station, walk straight down Northumberland Street for three minutes. We are in the building on Friendly Street, so head past the entrance on Lord Street and take the next left onto Friendly Street. Huddersfield Bus Station is a short six minute walk away. This station offers great links to the whole of the town, as well as Dewsbury, Halifax, Wakefield, Bradford, Brighouse and Leeds. For the latest times and routes, use the Metro Journey Planner.